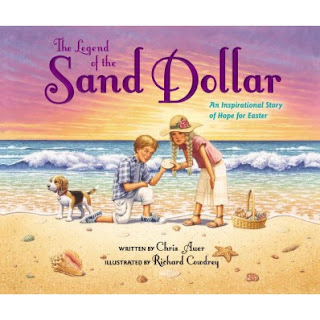 Book Review: "The Legend of the Sand Dollar"
Thanks Zondervan for sending me this book for free in exchange for an honest review. All opinions expressed are 100% mine. Easter is coming!!! I love spring and I love celebrating the death and resurrection of my Savior! 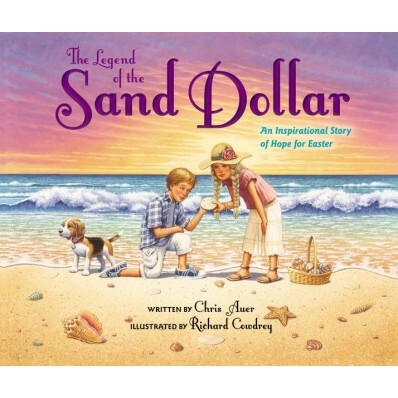 "The Legend of the Sand Dollar" is an adorable story that takes a look deeper at a sand dollar and retells the most important story of all... JESUS! 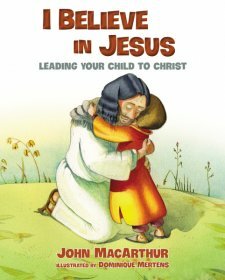 I think this story would be the perfect one to share on Easter or put in your child's Easter basket. This story has been around for a few years however it is newly updated with new art. I loved the cover with the bright sunset colors and of course the beagle puppy they used too.... dog lover here! 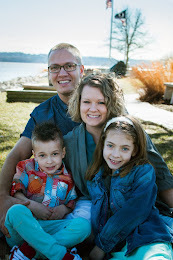 The reason I love this story so much is because it takes a tangible item we can see and then retells such a powerful story that it gives you all the good feels when you focus on Jesus's life, death, and resurrection! Hurry now and get this book now for your Easter Celebrations! Tell me, what are your Easter plans?